Really just for fun (and an excuse to take the morning off and play in the snow!) I took the Hound to our favourite spot on the moor. 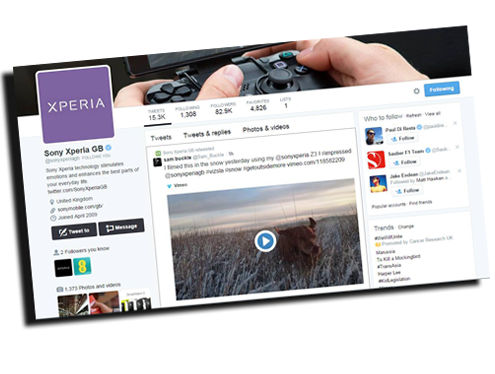 The Sony Xperia Z3 boasts some impressive claims about its video capabilities. They all lived up to expectations and performed amazingly especially the mind baffling HDR video. All of this was shot handheld in 45 minutes using only a sony xperia z3 mobile phone . Using the various video modes including 4k, 1080 at 60fps and also the 720 HDR mode. "@Sam_Buckle @sonyxperia @sonyxperiagb Great shots! Glad you’re loving the Z3." "@Sam_Buckle Wow! This is stunning - nice work :)"
The video was retweeted by Sony Xperia on twitter to its 925 thousand followers to much critical acclaim and interest. © 2019 Design and Film Cornwall.